Unique opportunity to interact with patient advocates affected by rare disease and corporate partners in a two day event designed to educate, engage and activate. Volunteers needed at the beautiful Hungtinton Beach Hyatt Resort to help this event run smoothly. All volunteers are welcome to stay for the remainder of the festivities and will include a free t-shirt and meals! You don't have to commit to the entire day. 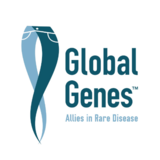 If you are interested in learning more, please contact Amy Grover at 949-248-7273 or amyg@globalgenes.org.